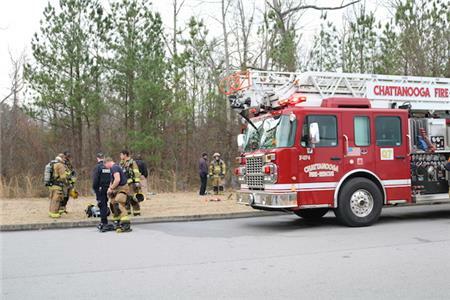 The Chattanooga Fire Department was dispatched around 11 a.m. on Thursday, to a reported explosion and fire in a section of woods off the 7400 block of Commons Boulevard. The first firefighters on the scene reported seeing smoke and flames in the woods. 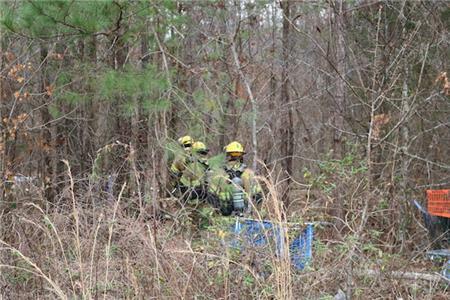 Battalion Chief David Thompson Jr. said the firefighters carried hand-held hoselines into the woods and quickly put the fire out. Several tents, mattresses and other combustible items burned in the fire. None of the residents were there. However, two dogs that appeared to be in the care of the homeless people perished in the fire. Chief Thompson said several small bottles of propane, most likely used for camp stoves, were involved in the fire and that is the likely source of the explosion that people in the area heard. The cause of the fire is under investigation.